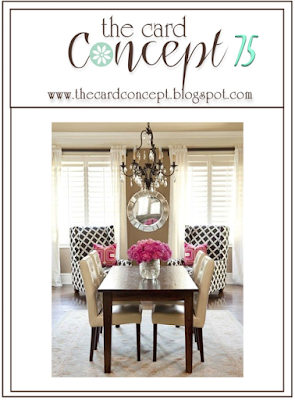 I often use the "Clean and Layered design concept when creating cards. I love the look of a "polished" card, something you could frame if you wanted to. Ithas definitely been my go-to for years. 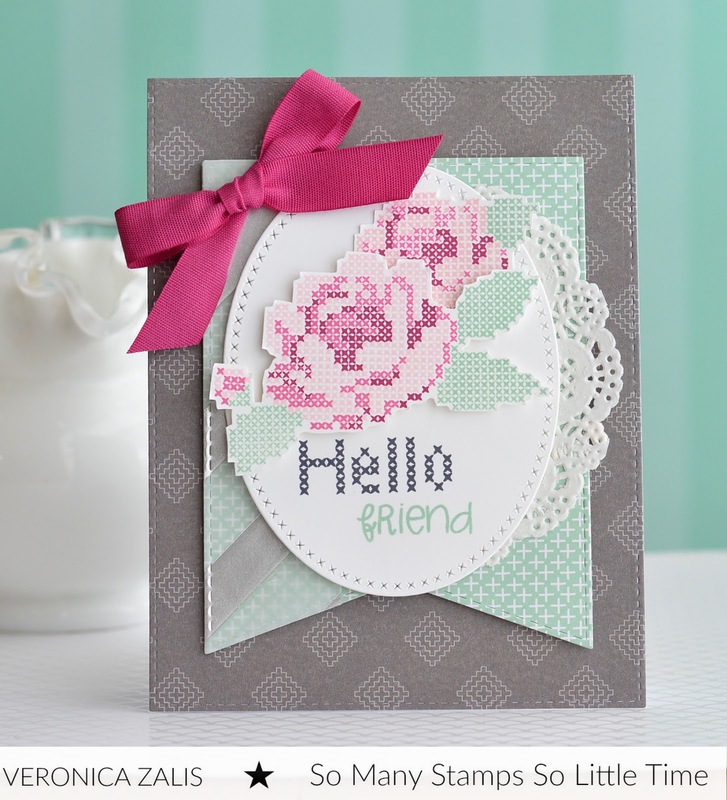 To create my card I used the beautiful "Stitched Roses" stamp set by Waffle Flower stamps. I was an avid cross stitcher before I became a card maker. This set comebines the best of both worlds! All of my patterned paper is from Stampin' Up!and the dies I used are from My Favorite Things. I hope you will play along with us for our 2 week challenge at The Card Concept! Veronica, this is so cute! I just LOVE that stitched roses look - -it looks like cross stitch! It is so perfect with the tiny little stitches! Great color and very elegant and feminine too! LOVE it! This is oh-sew-chic! :) I love that cross-stitched bloom and the way you incorporated those patterned chairs into your design through that subtle background paper.